Arriving at one of my shooting permissions for the first time this season, it was more of a social visit to the lady farm owner, than anything else. Ruth was happy for me to continue controlling the rabbit population, although she commented that lately rabbits were a rare sight on her land, especially her garden and vegetable patch, which had once been overrun. 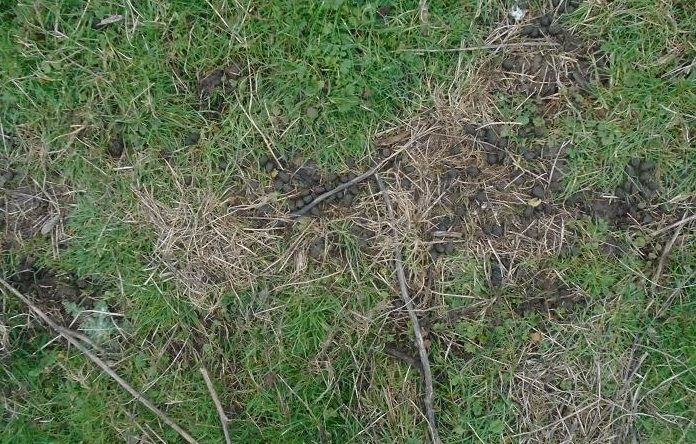 Taking the Magtech semi auto out of the van, I went on a patrol of the farm buildings looking for signs of fresh burrow digging and recent droppings, stopping to peer over the fence of a small paddock, where a rabbit was preoccupied munching on a clear area of fresh grass. Resting on the fence, I sighted on the back of its head between the ears. At 60 yards this allowed for the bullet drop on my 50 yard rifle zero. A squeeze of the trigger and the rabbit tumbled forward. A healthy buck to start the ball rolling, I bagged this up and continued my search. Ruth had been right about the area round the farm, there were few signs of rabbits, even a reliable warren had apparently been abandoned and I continued out toward the pastures. The willows have proved productive in the past and I made my way down toward them keeping my eyes peeled, unfortunately being spotted by a group of rabbits among the tangle of branches, their white tails bobbing away to safety, before I could take a shot. Turning right, I worked my way slowly along the fence line, seeing a big rabbit pop out of a burrow in the next field. It was about 200 yards away and keeping the line of fence posts between us, I reduced the distance to a hundred yards, before it sat up to look round and sniff the air. My shooting jacket and trousers have been conditioned by years of crawling through fields and muck, while without a hint of aftershave round my chin, the smell of dangerous human must be limited. At this range with my .17 HMR it would have been game over for the rabbit, but the .22 subsonic bullet drop at distance is about eight inches at 100 yards. The wind was behind me and I crouched down until the rabbit had got back to eating, covering another slow twenty yards before it sat up again. Resting the Magtech on my bag. allowing six inches holdover, I fired and watched the rabbit duck away out of sight. I couldn’t tell if I had hit it and got up again moving along the fence for a closer look. The land ahead was full of fresh earth from burrows and as I scanned the area, a rabbit popped up out of a burrow, saw me and dived back down again. Next time I would be ready. Moving along the fence, I waited behind a bush. Minutes later, 50 yards to my right another appeared. I raised the rifle and fired, the rabbit somersaulting as the bullet hit bone with a crack. With no more shows after ten minutes, I crossed the fence to retrieve the rabbit. There was no sign of the first, which I had obviously missed, but my second lay still. A perfect head shot, another buck that will not be breeding this year. 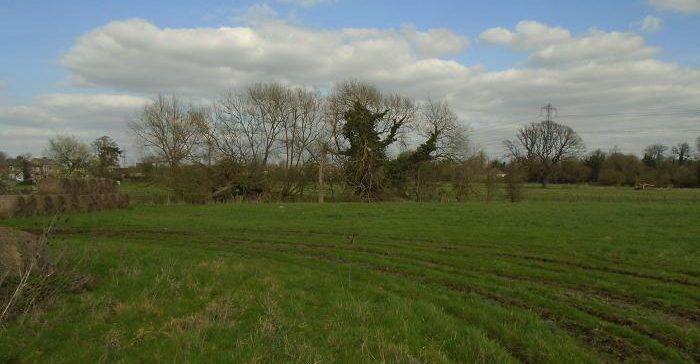 There were deep burrows everywhere along this tree line, a hazard for cattle grazing the field. 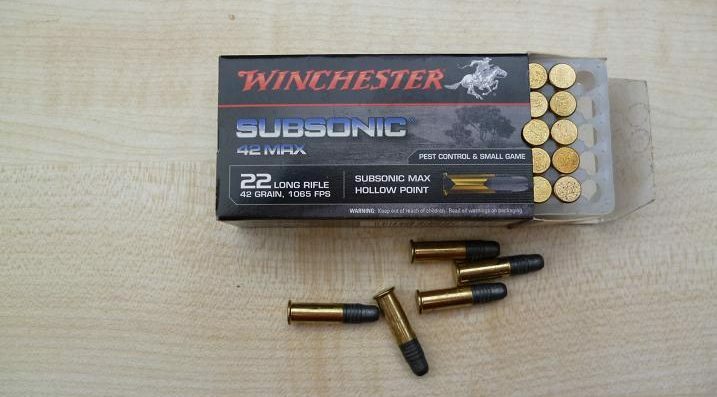 I continued my tour, noting several areas needing attention, seeing rabbits out in the evening sun, too far away for the Winchester .22 subs, even my Remington High Velocity bullets would have struggled. Next time I will bring the HMR. 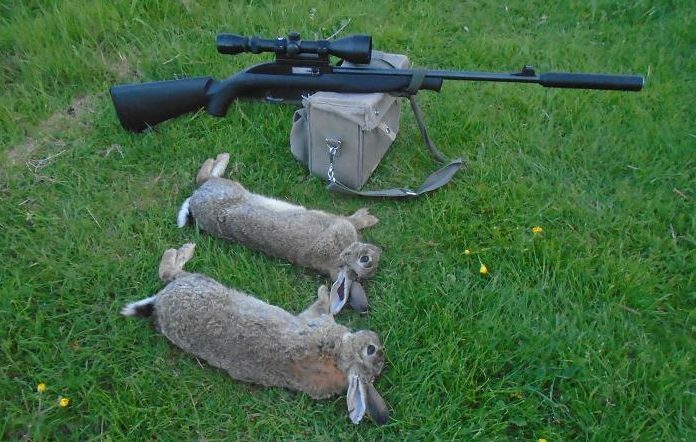 I was happy, two nice rabbits in the bag and plenty more where they came from. Following my visit to Saunderton last week for some rabbit pest control, I arrived at the farm this week to shoot at the other end, where I had been informed by farmer Lee, that the rabbits were repopulating the far corner. 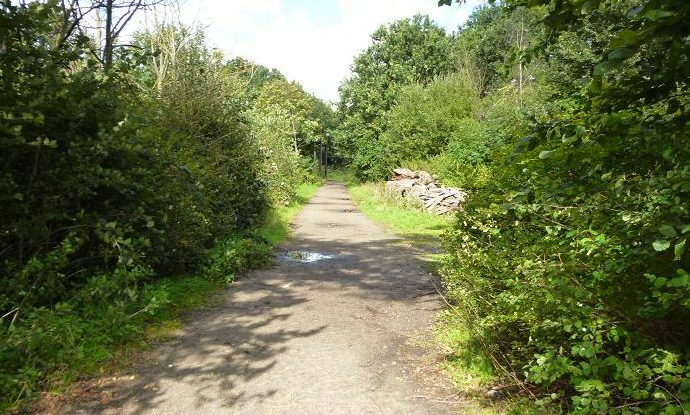 Ten years ago my approach would have been greeted by white tails bobbing back into cover, despite crawling the last 50 yards to the crest of a slight rise in the ground. The same approach this week was a waste of effort with no rabbits in sight, although after a steep half mile uphill walk and then the grass high scrabble to my vantage point, it probably did a lot for my personal fitness. On the way up, a group of grey rounded shapes got me exited, but one look through the scope confirmed them as half a dozen guinea fowl, which set off at a pace down the field, running at top speed, then taking flight a few feet off the ground toward the furthest hedgerow. Somebody owns them, or owned them, they are very independent and unlike chickens do not like to be contained in a coop. There was a biting crosswind, left to right and with nothing showing for half an hour, I decided to walk down to the tree line to check out signs of rabbit activity, finding several runs beneath the trees, but few droppings. 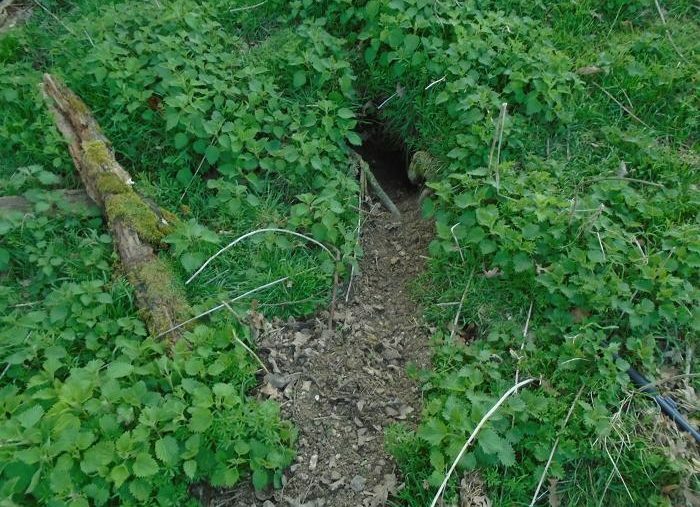 A hundred yards apart were two new badger setts, the freshly cleared earth spilling out into the field, the entrance holes over a foot in diameter, compared to the six inch wide rabbit holes. Rabbits and badgers do not mix, a badger easily capable of digging out and killing young rabbits. This is what happened further down the hill, a prolific warren destroyed by badgers, that took over the area. 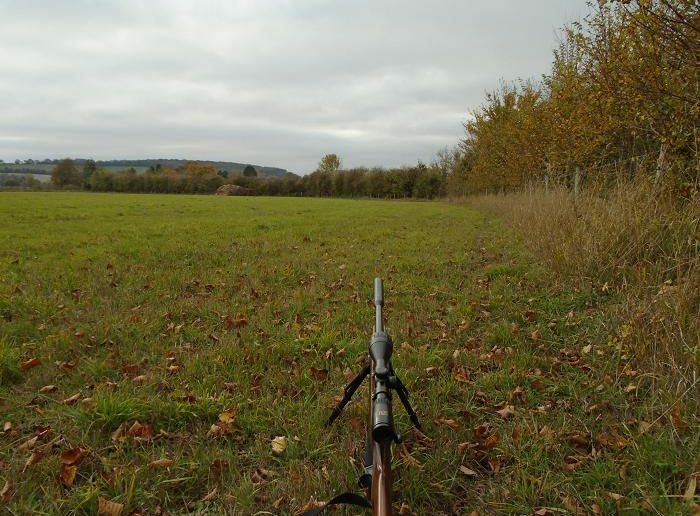 I walked along the tree line to the top of another crest, settling down in the long grass at the edge, with a view down into the dip, the corner being 120 yards away, an easy shot with the .17 HMR and a following wind. Looking at my watch, I had been here for an hour and the shadows were already lengthening, the sun beginning to sink below Bledlow Ridge in the west. I had optimistically packed another game bag, expecting plenty of action, having not visited this corner for at least two years, after the returns had not warranted the 35 mile drive from home. This looked like it could end up as a costly expedition, when taking fuel into account. Hoping to avoid the worst of the evening rush hour, I set my time limit at 4 pm, deciding that I would leave then whatever the outcome. There are more unpleasant ways to spend an hour, lying there watching kites almost motionless, hanging in the breeze, while knowledgeable pigeons and crows changed their flight patterns to a void my position. Scoping along the tree line, I searched for movement among the nettles and long grass bordering the field, but nothing was moving. Suddenly two large rabbits emerged from beneath the furthest tree, one stopping at the edge, the other ten feet out. Lying, resting on my elbows with the rifle stock crooked in my shoulder, I was ready for them, sighting on the rabbit at the edge, a head shot dropped it, while the other still sat upright. 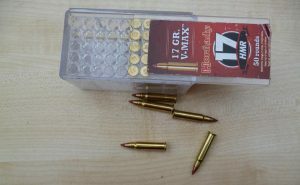 Quickly shifting another bullet into the CZ chamber, the second rabbit toppled at a range of 120 yards. It was ten minutes to four. Two healthy rabbits, that unfortunately for them appeared at the wrong time. For me it was time to leave, bagging them up as they were, their combined weight telling, as I walked back down to the farm and the van, the busy roads in contrast to the remote hill top. A welcome call from a farmer up in the Chiltern Hills, saw me heading north to Saunderton this week. Once overrun with rabbits, over ten years I had depleted their numbers to the point that it was no longer financially viable for me to make the twenty mile journey to the farm and I had reduced my visits to once, or twice a year just for the goodwill of keeping the shooting permission. 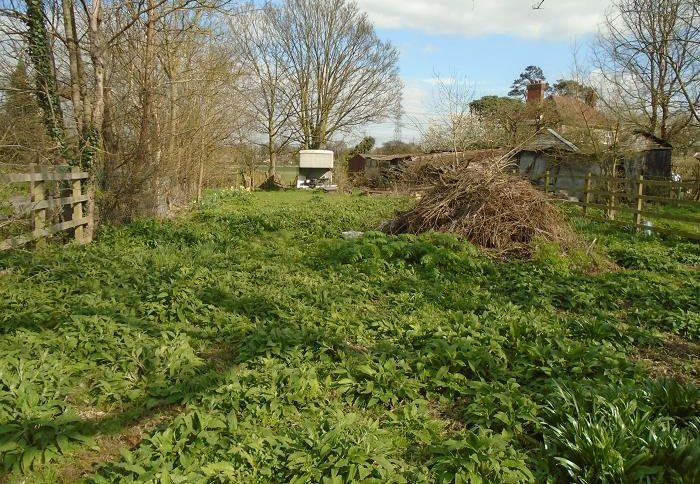 Meeting Lee at the farm, he said that they were back in force at the twenty five acre field, due to badgers taking over the lower hedgerows, causing the rabbits to migrate to the higher ground. 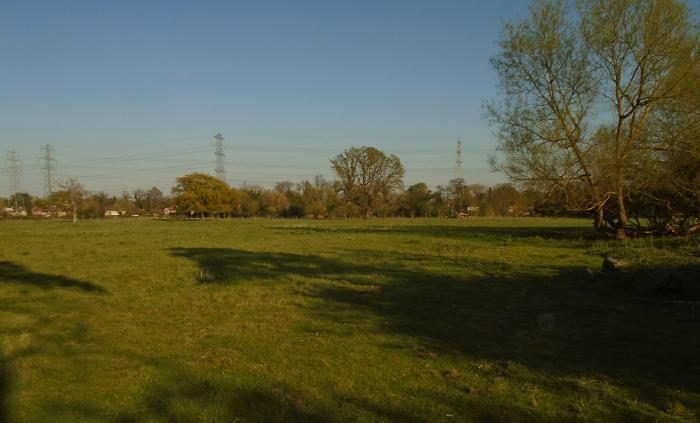 At the other end of the farm is a ten acre high meadow, which once had little grass due to the rabbits. This had been my original quest, decimating the population in the first year, allowing the farmer to reseed the grass for his beef cattle. 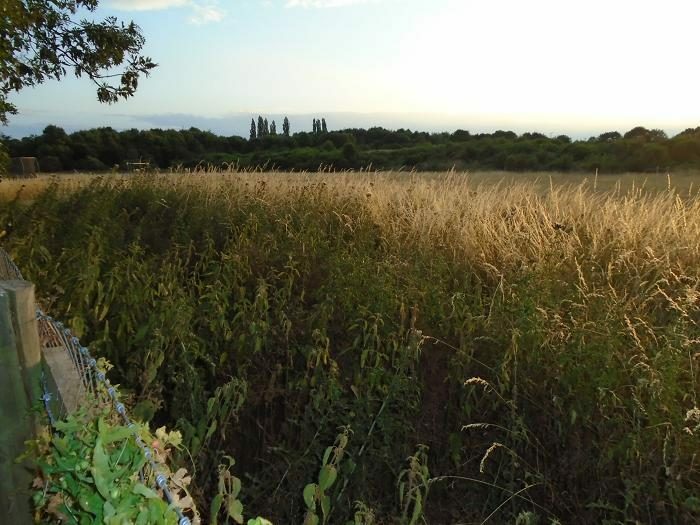 Lee had begun to see rabbits again along the far hedge line and suggested that I might like to give the meadow a try, before moving on to the twenty five acres. This suited me fine, as we had already spent too much time catching up on past events. After driving to the nearest gate, there was still the little matter of a half mile hike up the steep incline to the hedge. 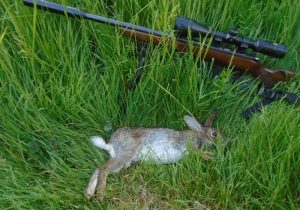 As I walked along the edge toward a curve in the field, a rabbit cantered out into the open 130 yards away and stopped. In the low light it was barely visible, but after sinking slowly to the ground, with the scope at x12 magnification, there was a clear side on shot. With was no wind and allowing for an inch bullet drop at that range, I aimed at the chest above the front shoulder. 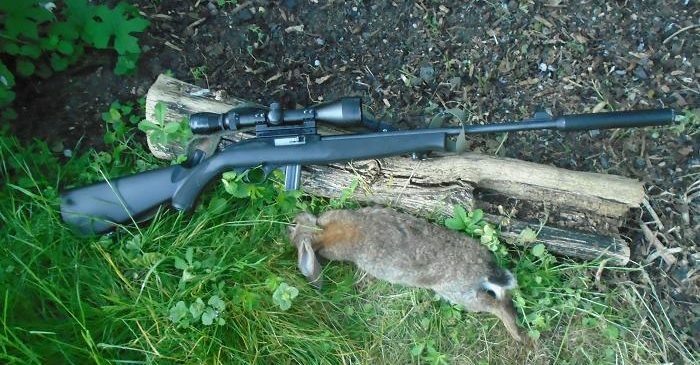 Squeezing the trigger broke the silence, watching the rabbit topple to its right and lay still. One for the bag. 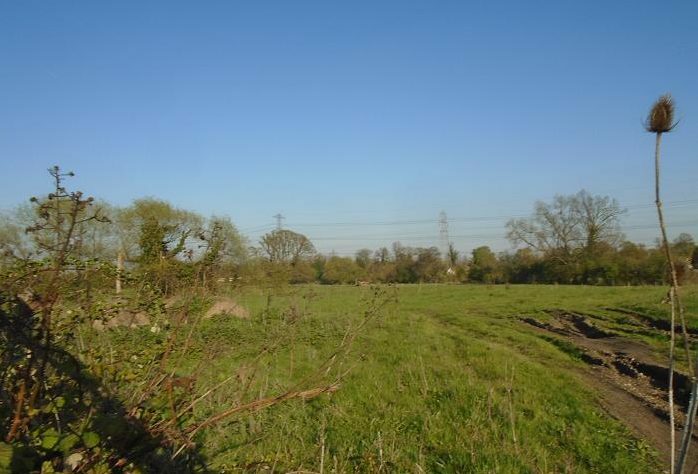 I moved closer to the curve, where many years before the council had dumped slabs of tarmac and rubble the other side of the hedge, which had proved a safe haven for a massive rabbit warren, with a meadow full of grass and tasty roots just a few hops away. Settling down in the long grass at the edge, I had a good view of the warren, coming to the conclusion that there were no great numbers of rabbits here, as the grass was still in good condition, with no signs of digging. After half an hour, I was ready to collect my rabbit and try further along, but my patience was rewarded, when two rabbits dashed out into view to sit side by side. 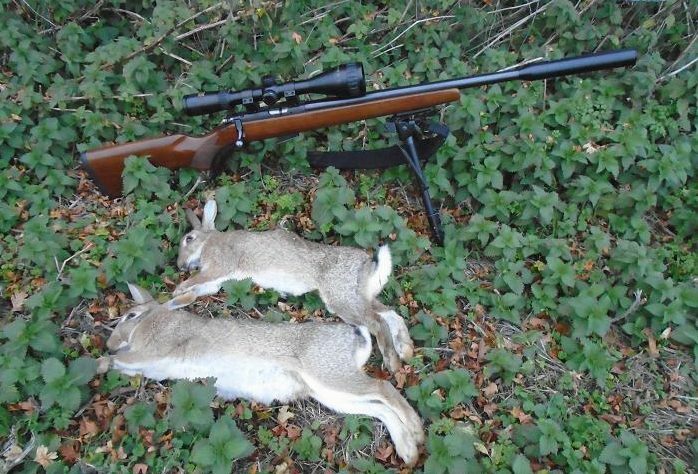 The CZ HMR was already cradled ready to shoot and I raised the scope to my eye and shot the one on the left. 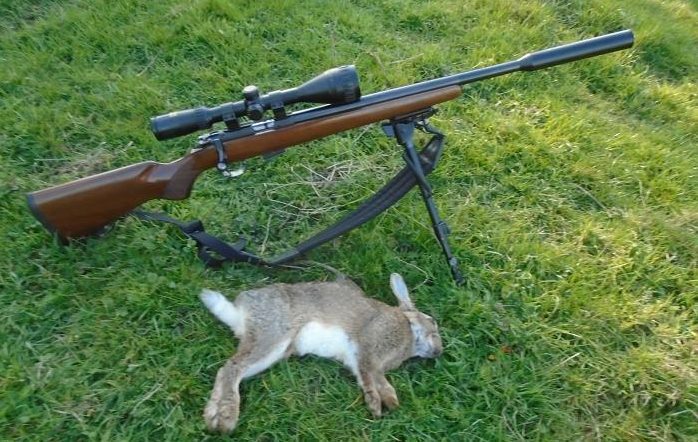 The second turned and darted for cover, ducking down to get under the wire, the scope following it’s move, my right hand rapidly working the rifle bolt to chamber the next round, which found its mark in the back of the rabbit’s head. Another twenty minute wait took me to 4 pm with no more sightings, so I moved forward to pick up my harvest, noting that there were few rabbit droppings in the area, my guess being that this was only a recently established colony. 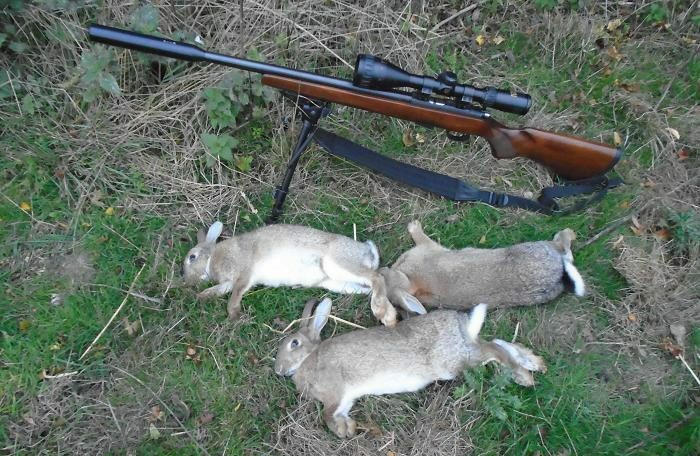 A trio of large healthy rabbits, that will provide some enjoyable meals this winter. Making my monthly courtesy visit to one of my farms, I climbed the hill overlooking the yard, where I have a clear view over about 300 yards to the sides and good sight of the sheds ahead of me, where the lady owner keeps hens, ducks and geese. 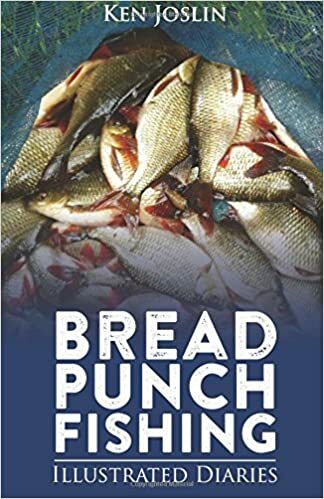 The wet spring and hot summer had been perfect for haymaking and the barn was stacked out, with the surplus filling the yard, giving cover for a marauding fox, that had already taken a couple of chickens and a prime egg laying duck. This had resulted in Ruth, the owner, having to sit out on guard with a big stick to ward off the fox. The irony is, that the fox had been dumped overnight in the driveway of the farm by an animal rescue group, who left the tame animal to fend for itself. The next morning the fox was curled up on her doorstep and Ruth decided that she would feed it, hoping that, if fed, it would not worry her birds. Wrong. A week later it dashed into the yard and dragged off a duck, fatally wounding it, despite Ruth’s best efforts to revive the bird. A fox’s nature is to kill and sooner or later, that cuddly looking animal will revert to its inborn character. Ruth was now locking her prized birds away at 5 pm each evening, as the fox was doing its rounds between then and 7 pm, just in time for my visit. 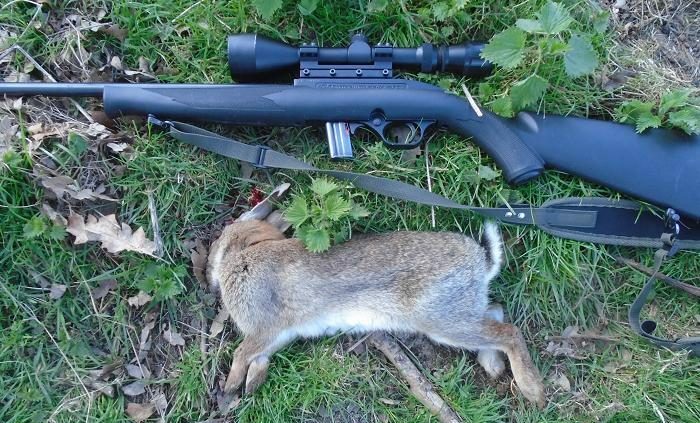 I had come for rabbits with the HMR, the 4.5mm diameter 17 grain bullet ideal for them, but a bit lightweight for a fox beyond 80 yards, but a head shot at that range would do the trick, if I got the chance. I settled down at the top of the hill and waited for movement. It was pleasantly warm with the sun on my back, but the sight of a big rabbit trotting slowly around the edge of the barn, brought me to my senses. Following the rabbit in the crosshairs, as it approached the gate, I held fire. It stopped and I squeezed the trigger. A half jump and it toppled over, an ideal fox bait. I left it there. Later, after a movement to my right, I spotted another rabbit entering the gateway at the top of the lane in front of the barn. 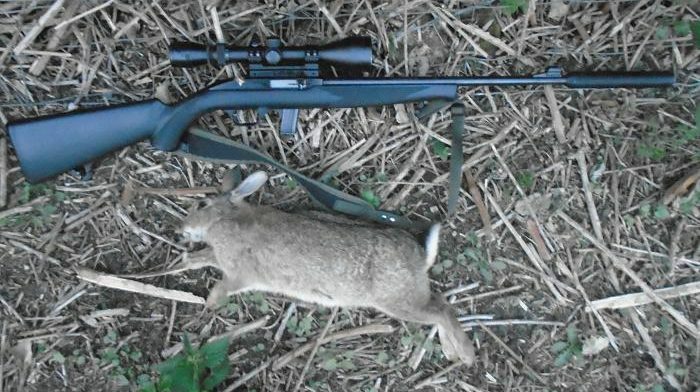 This was an 120 -130 yard shot, but with no wind, easy with the HMR, the rabbit spinning round with the impact. I left that one there too. Both rabbits gained the attention of a pair of magpies, but fortunately for them they flew off. 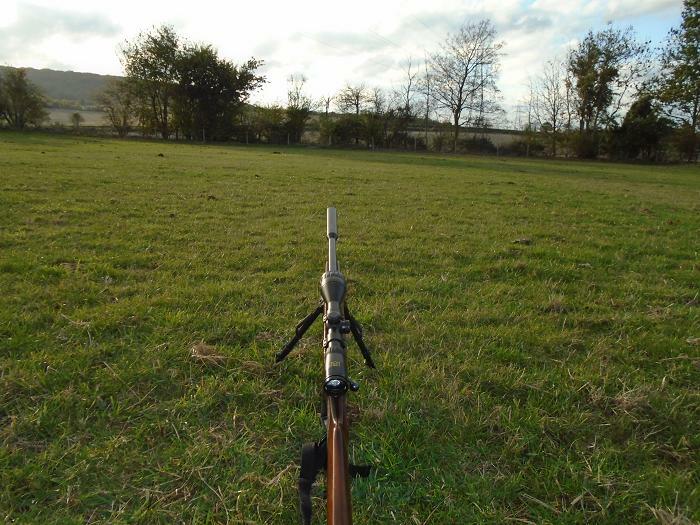 The HMR makes a mess of magpies. I was intending to leave at 7 pm, when the extended shadow of the fox appeared behind the barn. The animal was invisible to me at first, but there was no mistaking the deep red coat, as it danced toward the dead rabbit, briefly bending down to sniff it, then slipping behind the shed out of sight. Out it came again and I concentrated on the rabbit. It stopped short and looked straight at me on the hill, turning away to the right behind the barn. I kicked myself for not taking the shot, its white bib clearly in my sights for a second. Picking up the rifle, I ran to the right, hoping for a shot, as it passed the other side of the barn, only to see it loping off toward a stand of willows at the bottom of the field, the white tip of its tail following into the long grass. With the sun behind me, I thought that my head and shoulders profile would be masked by the sun. OK for rabbits, but not a wily fox. I retrieved my rabbits and headed for home. The heatwave continues and with no significant rain for almost two months fields are parched. I have not bothered going out shooting, as with pastures filled with waist high grass, rabbits have been invisible. While on holiday in Cornwall last week, I had a call from the owner of a cottage that backs onto the land pictured above. He sounded desperate. Rabbits were tearing up his lawn. Could I come over and shoot them? I have shot this garden and the field beyond for years, the cottage owner Mrs Potter, now in her eighties, had reluctantly sold, and moved to a modern serviced flat. The new owner, a local businessman, had embarked on a major modernisation project at the 150 year old property. 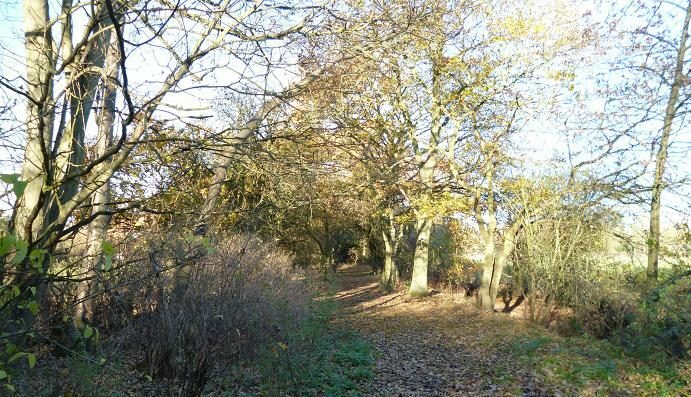 With the cottage nearing completion, he had started tidying the outbuildings and half acre garden, when I had introduced myself regarding controlling the rabbits. This was a few months ago and he had said that he had never seen a rabbit in the garden, at which I said, “Well there’s one” pointing to a big adult munching fresh grown shoots. I had added my number to his phone, then gone on my way. The house is still unoccupied and I arrived at my first opportunity this week on a hot evening after 7 pm. Anticipating dozens of rabbits, as described by the owner, I took my Magtech 7002 .22 semi auto and a couple of ten shot magazines for a stalk around the garden, the parched main lawn being surprisingly devoid of rabbits, when I would have expected at least a couple on past experience. With flower beds and hedges, there is plenty of cover in the garden and the Magtech was cocked and ready to fire as I worked my way toward the rear, getting down to peer around every feature. Nothing. I sat down with my back to a tree, where I had a good view of the rear garden and waited. Ten minutes later three rabbits made their way in single file through a gap in the gate from the overgrown field and spread out hastily grazing fresh green grass. In slow motion I raised the rifle and sighted on a broadside buck 30 yards away, ready to swing to the next target 10 yards on. Boof! The bullet found the upper chest and it collapsed, as my other target darted to one side and stopped. I fired, the rabbit back flipped and ran off. I had hit it, but not stopped it. They had retreated back through the gate and did not return. I patrolled the garden several times with no other signs of rabbits, although evidence of their presence was everywhere, sheets of mesh covering bare patches of lawn chewed down to the subsoil. 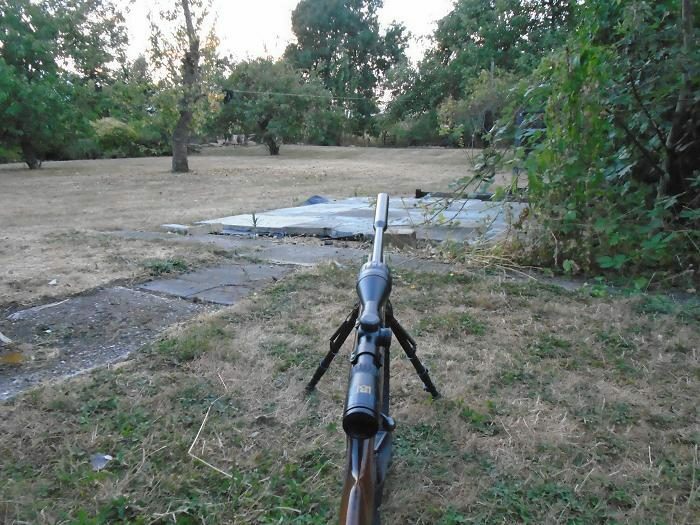 Returning the Magtech to the van, I brought out the CZ452 HMR and set up further down the garden with a view to the back fence 60 yards away and within sight of a third of the remaining lawn and flower beds to my left. The reason that the rabbits had been attracted to the back of the garden was obvious, when I looked around, a sprinkler had been placed there and the fresh growth was in a slight dip, where the water had accumulated. With the sun going down, it was time to wait it out, the rifle aimed directly at the field gate. Although I had my NiteSite attachment with me, I felt that I had waited around long enough, when a movement in the gloom at the gate, presented a pair of ears bobbing forward, followed by more. At least three rabbits were now passing back and forth sampling the grass. I had my night face mask on and was unseen as I switched positions trying to get a bead on one of them. A head raised and the rabbit fell. Shifting the bolt in a second, the cross hairs fell on another heading back to the gate, the rabbit dropping from view. Another pair zig-zagged in panic back to the field. The other rabbit was five yards away, two does in under a minute. That’s how it goes sometimes. The owner had requested a rabbit and I had strung up the buck in the wood shed and barricaded the door safe from foxes, before resuming my patrols. A text to the owner last night was replied to this morning, saying that the rabbit was now prepared for a meal tonight. Bon appetit. A warm still evening saw me back at the new permission this week, trying to keep in with the landowner, who expects the impossible, his land cleared of rabbits, while the grass is at knee height. The light was already fading when I arrived, but with my Nitesite as back up, was hopeful for a few more for the freezer. 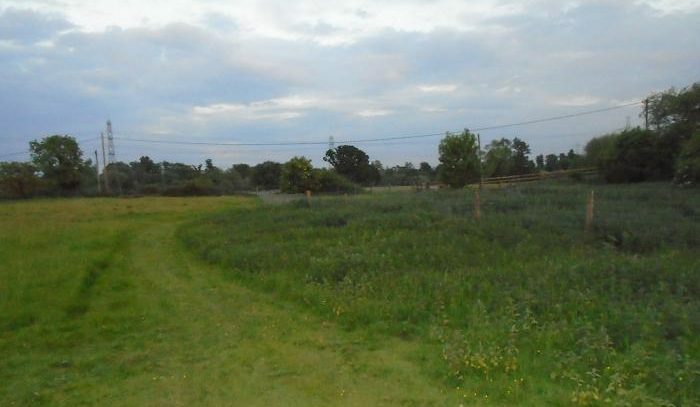 He has mowed an area around the site, which helps spot rabbits, but those in the grass have learned to keep there heads down and sprint across the open spaces, stopping only to pass through the fence. My best chance here is to enter the field keeping low, until I see the rabbits on an open space and get down for a shot, before they see me. Following round the cleared path, I saw a pair of rabbits dead ahead about 80 yards away and sank down prone. At ground level they were obscured by the long grass at one edge and moved over for a clear view. A white tail indicated that the pair had seen me already, moving toward the fence, the rear one paused and was dead in an instant, the other passing through to safety. As I made my way over to pick up the rabbit, others were sneaking out of the long grass to the fence. A shot to hand at this range would have been lucky to find the mark and decided to clean the this one, while keeping a lookout along the cleared fence line. 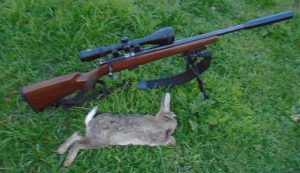 I settled down at the edge of the grass with a clear view up a rise for about 120 yards, no problem for the HMR on a still evening. A rabbit stuck its head out about 10 yards away, but soon turned tail and I waited, a barn owl quartering the field to my right taking my gaze for several minutes. Looking back, two rabbits were trotting in and out of the long grass near the top of the rise by a gate. Sometimes these games go on for a while, only to end with them back in their burrow. One stopped in the open and began grazing, while the other was out of sight. 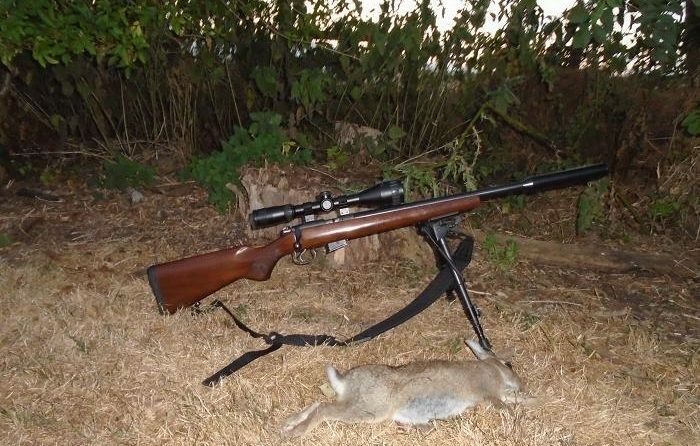 I don’t need a second chance, the scope was already zoned and the rifle cracked, the echo bouncing off nearby houses, as the rabbit reflex jumped. The second rabbit was startled and rushed into, then out of view again to appear sitting up at the top of the rise. Chambering another round, the cross hairs were on for head shot and it flipped over. I waited another ten minutes just in case any more appeared and made my way up the field to pick them up. Cleaning duties done, I patrolled the top half of the field, again watching as another trio bolted for the fence from cover. In the corner a big, full red fox was sitting, it slowly rising to it’s feet. I had a clear shot to it’s pure white bib, but in this field he is on my side. I had wondered why I had not seen any young rabbit kits, here was the reason. The discarded rabbit remains of this evening would be cleared by morning. 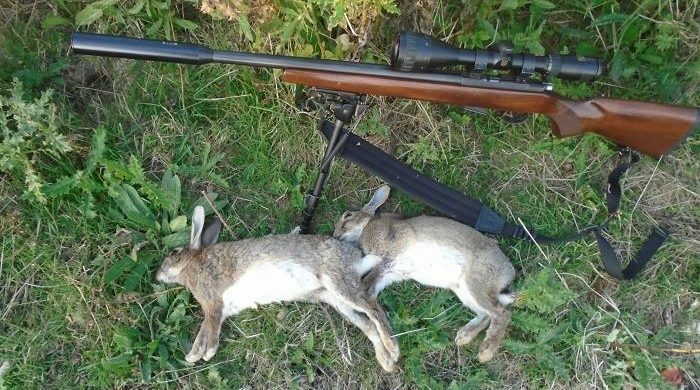 I was satisfied with three adult rabbits from this evening and headed back down the path, cresting the rise to see a dark blob where I had shot the first. 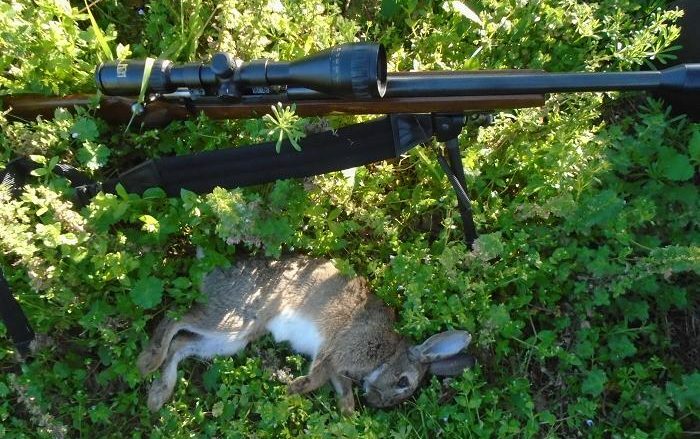 The bipod was flicked back open and I sighted on the unaware rabbit at least 120 yards away, aiming high on the shoulder, easing the trigger to send the tiny .17 inch bullet on its way. The silencer barked, followed by a moment’s delay before the rabbit rolled over. This last one was a bonus, possibly the first of the pair that I had seen at the start. It was now getting dark, the Nitesite had not been needed and I made my way back to the gate on the lane. As I fiddled with the combination locks, the landowner came out of his house to ask how I had done, promising to cut the grass before my next visit. Several months have passed since my last visit to the equestrian centre, where my efforts and that of myxomatosis, had resulted in a couple of visits devoid of rabbits. 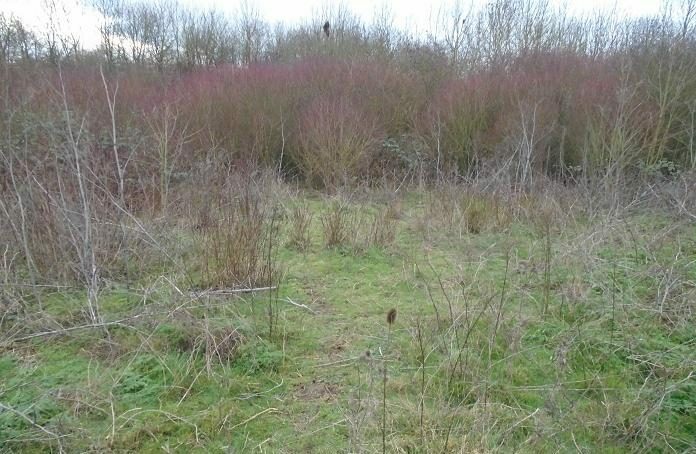 This 80 acre permission had been overrun with rabbits ten years ago, when I had shot over 200 with my Magtech .22 semi auto in the first year, the mixture of woodland and hedgerows, with mown rides for for the horses to be exercised, giving a wide variety of bunny habitats. I got the permission, when a young female rider’s horse stumbled in a rabbit hole on one of the rides, throwing her off, resulting in a broken back. It had been a day of sunshine and showers, driving through a heavy downpour on my way that saw me ready to turn back, but blue skies ahead spurred me on, finding the ground already drying as I walked from the stables. The owners had seen more rabbits about again and called for me to come over, dropping in on my way to another shooting commitment. 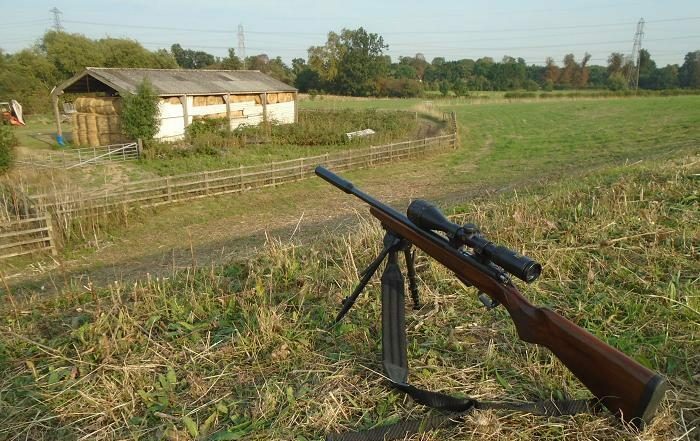 Being light weight, the Magtech is ideal for this sort of shooting, which usually entails a fair bit of walking, while the silenced subsonic bullets do not cause panic among the pastured horses. 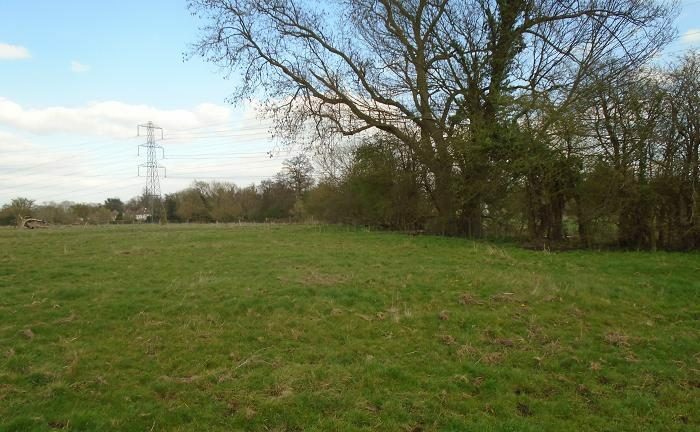 It was interesting to see new developments under way, including a new house for the owners and following a recently laid path between paddocks, saw a movement beneath the shadow of a tree. 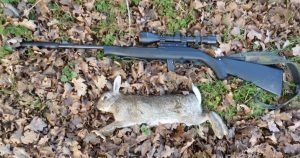 Putting the scope to my eye, a rabbit was sitting looking at me about 40 yards away and I sidestepped behind a tree to my right, bringing the rifle round from cover. 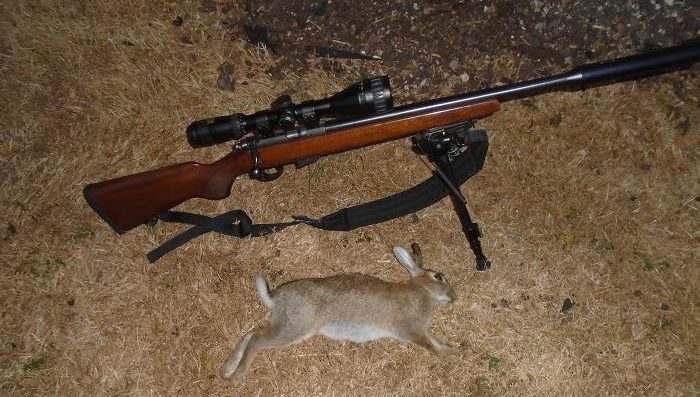 Steadied against the tree trunk, I took the shot before it moved off, the .22 Winchest 42 grain subsonic hitting the chest with a thump, that rolled the rabbit over. 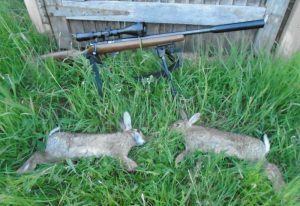 Keeping in close to the edge of the far ride, I could see several rabbits as suggested in an area cleared of brambles, about a hundred yards away, an easy shot for the HMR, but with the heavier and slower Winchester subs, I needed to close that down to at least seventy yards. There was nothing for it, but to get down and elbow crawl the last thirty yards, with the last ten of these being fully exposed. Getting closer, a big buck sat up. I had been spotted. 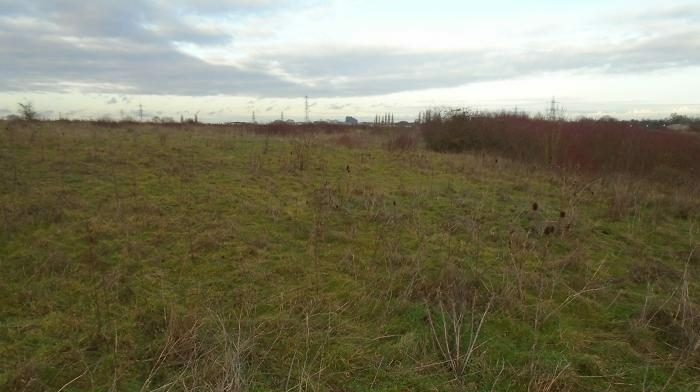 I stopped and sank my face into the ground, only cammo cap and jacket visible in the long grass at the edge. Looking up again, a couple were moving back toward the undergrowth. It was now, or never. Resting the Magtech on my gun bag, I aimed high on the buck’s head and fired, watching it do a backflip, then lie there kicking. A second later I sent a follow up bullet to the head. It lay still. The others were gone. Often a rabbit will kick and run on the spot, though dead, but get traction and disappear into the undergrowth and be lost. Having practiced the double tap shot in the past, I use it most times with the Magtech semi auto. Pacing out the distance to this rabbit, I counted out seventy eight paces, about eighty yards, a long shot indeed for a .22. 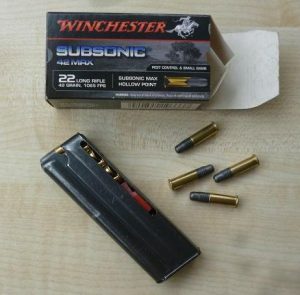 Heavier and faster than a standard subsonic, the Winchesters seem very effective compared to the RWS subs I had been using before. At this range I had allowed three inches drop from my 50 yard zero. While cleaning this rabbit, a nearby clap of thunder heralded rain to come and I was soon heading toward a small copse for cover. Rounding a bend, a pair of rabbits were feeding about 60 yards along the ride. 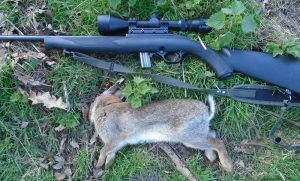 I stepped back and got down prone, pushing my gun bag out into the open to rest the rifle, taking a clean head shot to the rabbit sideways on to me. It sank forward. The other rabbit was unaware of the fate of its companion, continuing to munch the long grass at the edge, a head on shot into the head and shoulders sealing the deal. It was now quite dark for a May afternoon and spots of rain were falling as I gathered up the rabbits, failing to reach the cover of an oak tree, before the rain came straight down in biblical proportions. Another clap of thunder had me worried, the oak was the tallest tree in the copse, but also with the best canopy, as the rain tap was turned on even harder. The air was full of the smell of rain bouncing off new leaf growth, a fine mist of droplets coating my jacket, as I busied myself with the rabbits. The storm passed quickly, but not before the copse was thoroughly soaked, making my way back to the stables through another shower. This fleeting visit had bagged some big healthy rabbits from an ignored permission, that will need to be put back on the list for attention.